Your recovery to wellness begins here. Call today. Brevard Chiropractic & Injury Center! Located at 3260 Murrell Rd, Suite 101 in the heart of Rockledge, the leading health professionals at Brevard Chiropractic & Injury Center are dedicated to helping you achieve your wellness objectives as well as injury treatment goals -- combining skill and expertise that spans the entire treatment spectrum. Dr. Timothy Bortz is committed to bringing you better health and a better way of life by teaching and practicing the true principles of chiropractic wellness care. 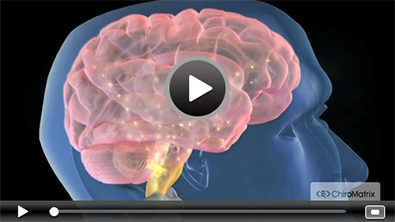 Our physicians have years of experience treating injuries in addition to wellness. Common injuries treated include: auto accident injury, sports injury, slip & fall & work related injuries. With years of Chiropractic training and education under our belt, we have treated many patients with conditions ranging from whiplash and scoliosis to herniated discs and sciatica. We have had stunning success treating patients with these conditions, and many others. In addition to wellness care, Brevard Chiropractic & Injury Center is dedicated to treating auto accident and work related injuries and is dedicated to not only to treating your condition, but helping you throughout the entire process, including matching you with a local attorney, if needed. When you treat with us, we not only heal you, we help you along the way! 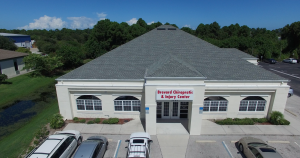 Patients seeking treatment at Brevard Chiropractic & Injury Center with Dr. Timothy Bortz are assured of receiving only the finest quality care through the use of modern chiropractic & decompression equipment and technology. Dr. Timothy Bortz and the staff have a genuine concern for your well-being! If you are new to our website, please feel free to discover and learn about your treatment options. If you are interested in starting your journey towards wellness or are seeking injury treatment and legal assistance, please call us today. Please explore our website for wellness articles, resources, and health facts---specifically chosen by Dr. Timothy Bortz. We Offer NON-SURGICAL Spinal Decompression Therapy! Dr. Bortz deserves his well-earned reputation as an extraordinary healer, educator, and motivator.